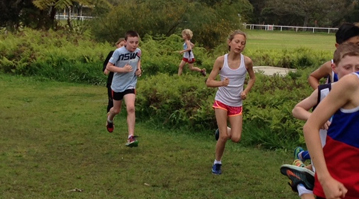 The Kids Running and Fitness group is held each Tuesday and Thursday in Edithvale. It is for children with any level of speed or fitness. Children can attend one or two Kids Running sessions per week, whichever they prefer. Children can start in this Kids Running group at any point in a school term or holidays. The sessions last for 1 hour. They include warm-up, dynamic and static stretching, form drills, speed development then some form of endurance (cross country, hill circuits and middle distance on measured course). We work on running technique, breathing patterns and race tactics for various events. The sessions are combined with an adults recreational running group and all adults and children are grouped according to their ability. 9.30am and 4.30pm – Memorial Oval (Edithvale Common- next to the Bowling Club), Edithvale Rd, Edithvale. Sessions go for approx. 1 hour. We meet at the car park by the trail. 9.30am and 4.30pm – Edithvale Recreation Reserve, Edithvale Rd, Edithvale. Sessions go for approx. 1 hour. We meet at the running track. At Melbourne Pack, we have special coaches for Kids Running Training, who always eager to make children more interested in Running. Let give us the chance to make your kids dream come true for Running goals, Meet our award winning and high professionals/special Kids Running Training team today. The Kids Running group is currently combining with the adults running group. It means the kids train alongside some wonderful mentors and some top runners. PARENTS/CARERS CAN DO PART OF OR EVEN ALL OF EVERY SESSION THEIR CHILDREN COMPLETE FOR FREE. We believe that parents are fantastic role models for their children, so why not share your passion for running with your children- even if you are slow and far from your peak fitness! When kids are running, stretching, doing technique drills and working on recovery next to senior runners, they learn much faster than when training in a “kids only” group. When the kids are running around the grass track at Edithvale, you can guarantee that their growing bones, tendons, joints and muscles are well protected. The kids are running on well cushioned and groomed track which is far better for training on than an all weather track. The same applies for the crushed gravel trails also used for the kids running group. All weather tracks are more than three times harder than a grass track, meaning more than triple the shock hits the feet and shoots up through the body when training on them. At Melbourne Pack we care for the running/sports longevity of the kids we coach, thus we train them on soft surfaces. Kids running on soft, smooth surfaces = higher chances of them remaining injury free. Kids love running in a relaxed, natural environment. 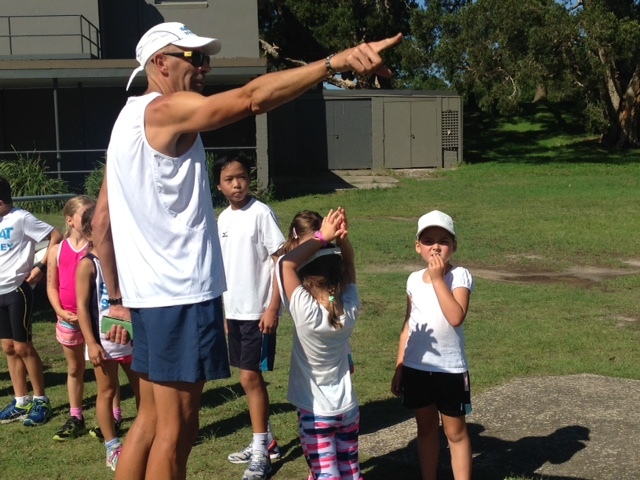 Coach Sean Williams has developed kids from gangly beginners to world class senior runners by following a simple formula. The Melbourne Pack kids group combined with the senior group provides a wonderful atmosphere for athletic development. It is either a $10 drop in fee for single sessions or $50 a month (lasts one month from when you pay- so if you pay Jan 15 then it lasts until Feb 15). There are two methods of payment.